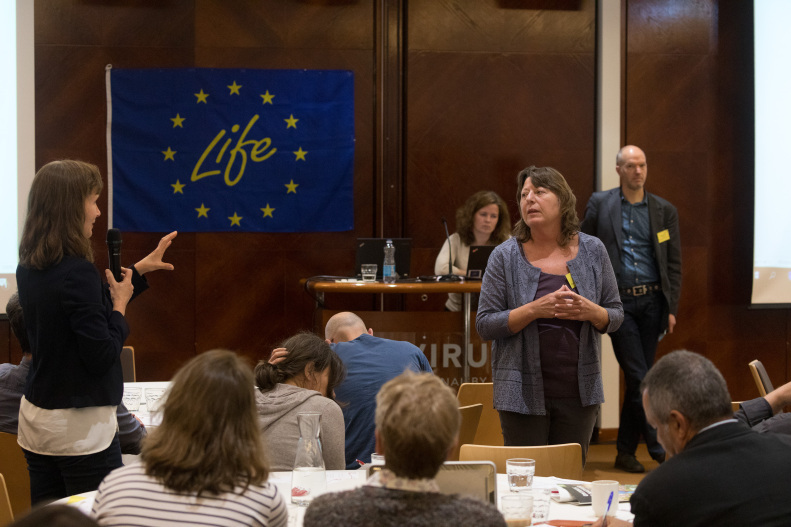 EU LIFE Programme together with LIFE Viva Grass project held an Ecosystem Services Platform meeting “COSTING THE EARTH? – translating the ecosystem services concept into practical decision making” from 10th to 12th of May in Tallinn, Estonia. Is the policy working? What progress has been made and how do we measure success? Small but Beautiful. The challenges of implementing the ES concept in Estonia. LIFE – what is going on at the programme level? Despite widespread conservation efforts there is a growing argument that traditional approaches have failed to stem the tide of biodiversity loss. One potential solution, increasing in popularity as well as generating controversy, is to assign values to the benefits that ecosystems provide for humanity (ecosystem services), and to incorporate these into conservation and management decision-making. Target 2 of the EU Biodiversity Strategy 2020 seeks to maintain and restore ecosystems and their services across the member states with obvious shared benefits in relation to climate change and the wider environment. In October 2015, the European Commission published a Mid Term Review of the Strategy’. The report concluded that progress has been made on policy and knowledge improvement actions under this target and some restoration activities have taken place in Member States. However, this has not yet halted the trend of degradation of ecosystems and their services. This Platform Meeting, hosted by the Baltic Environmental Forum under the auspices of the LIFE 13 Viva Grass Project*, will showcase a variety of restoration techniques, innovative approaches to improving our knowledge and understanding of ecosystem services, new management initiatives and governance challenges facing the member states. The event will provide answers and solutions which may be instrumental in overcoming some of the key barriers and bottlenecks to halting biodiversity loss throughout Europe. Defining/mapping ecosystem services: we explore the role that LIFE projects play in developing, testing and applying different tools and methods. Valuing ecosystem services: we will discuss the methods developed for valuation, outcomes and findings from valuations, barriers and look at some practical examples from LIFE projects. Application of the ecosystem services concept in decision making: how can we take the lessons learnt from the LIFE projects and use the results to inform policy. Our meeting will explore these three themes, visit locations in Estonia where we can see examples of issues relating to ecosystem services in both the rural and urban environments, and see some practical solutions. In the workshop sessions, we intend to explore common solutions and practices. Our conclusions will be transmitted to the Natural Capital Directorate in the European Commission’s DG Environment and other relevant policymakers. *Viva Grass aims to support maintenance of biodiversity and ecosystem services provided by grasslands, through encouraging ecosystem based approach to planning and economically viable grassland management.